Clear skies lead to clear minds, in an inspirational setting that’s picture perfect for reaching higher. 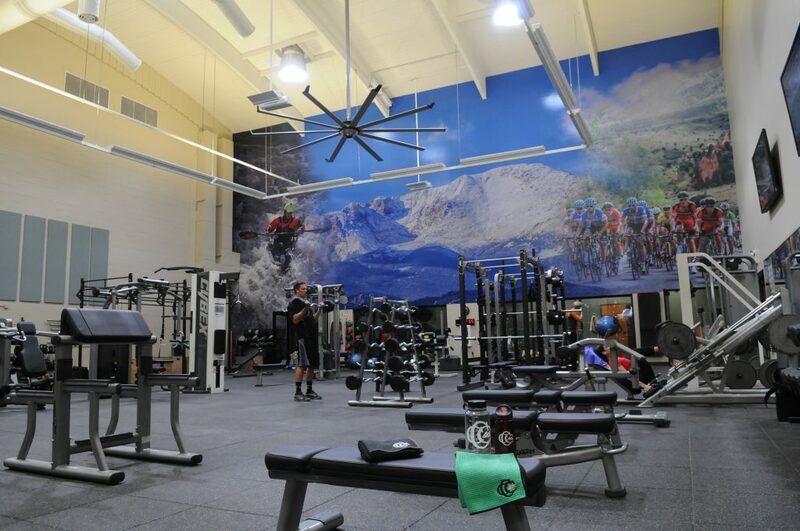 Take advantage of a location that gives access to authentic Colorado adventure and activity, and is accessed by 100 flights daily. 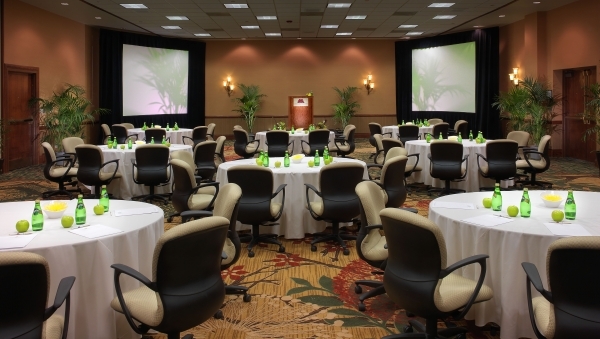 A dedication to meeting service that makes your job easy and your attendees experiences unforgettable. 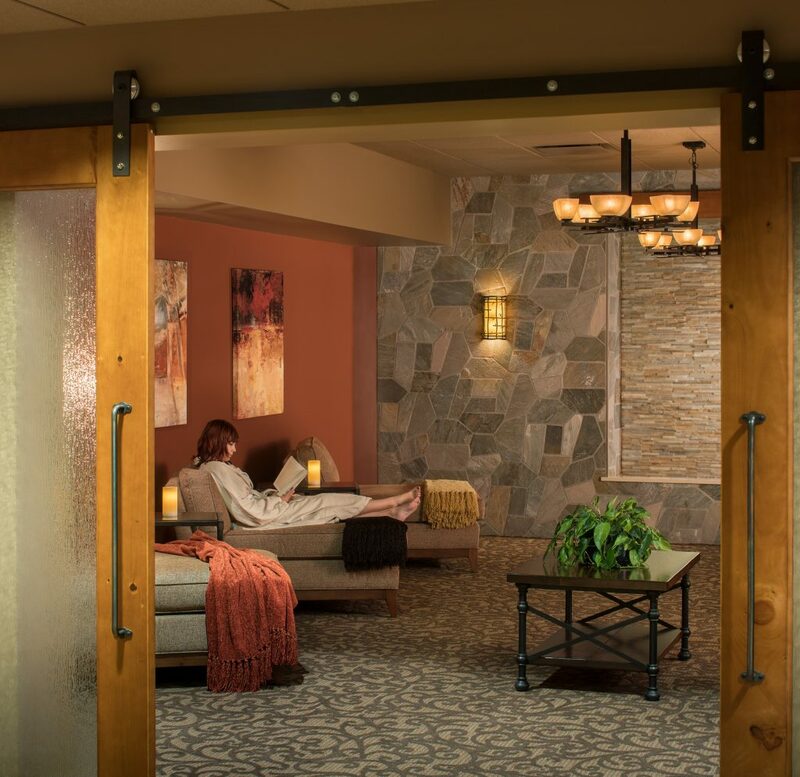 And, of course, team building beyond compare, including Pete Dye’s first course west of the Mississippi and a brand new Spa & Wellness Retreat. 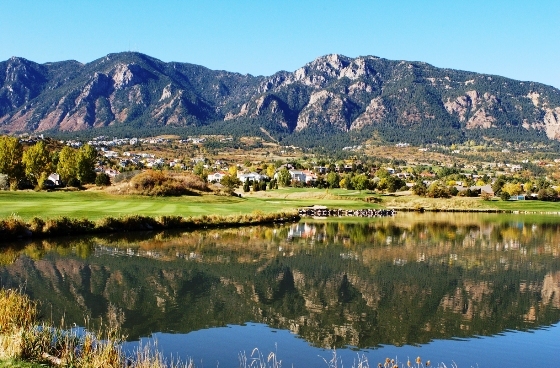 From foursomes to 600, IACC-certified Cheyenne Mountain Conference Center brings out productivity, naturally. 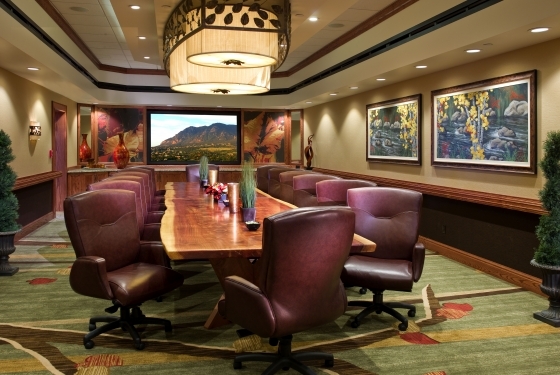 Designed with meetings in mind, Cheyenne Mountain Resort features over 40,000 square feet of specially designed, IACC-certified meeting space. 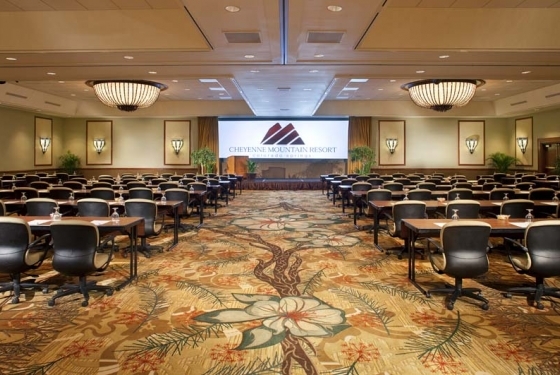 With 38 dedicated conference rooms, including a tiered amphitheater, our conference facilities can comfortably accommodate virtually any meeting format for groups from 10 to 600 in a setting built for success. 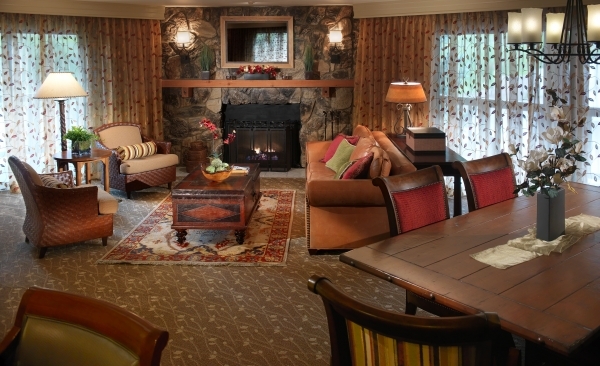 Tucked away quietly amid breathtaking vistas awaits 316 finely appointed guest rooms and suites arranged in eight residential lodges across the grounds. Surrounded by extraordinary mountain backdrops and picturesque views, each room has been designed to provide the ultimate escape from the everyday. 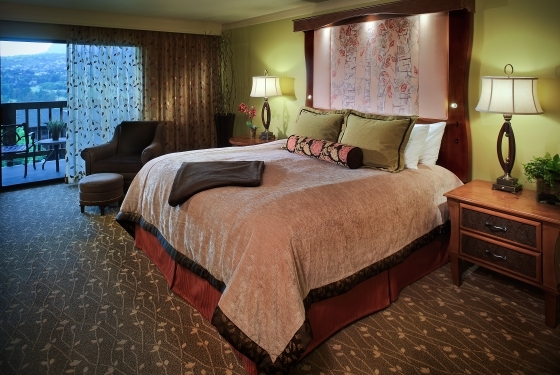 Modern amenities and supreme comfort are perfectly paired with an understated Rocky Mountain inspired décor for the ideal setting for rest and relaxation. 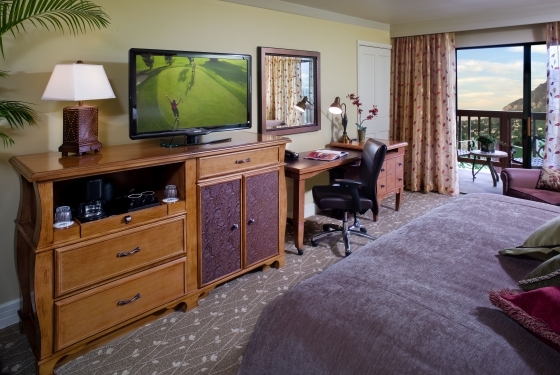 While separate study areas with computer workstations and complimentary WiFi help balance work and play. 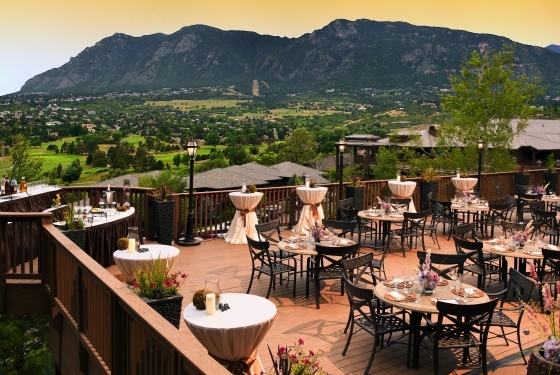 Cheyenne Mountain Resort is the perfect setting for weddings of all sizes, from intimate gatherings to elaborate celebrations. 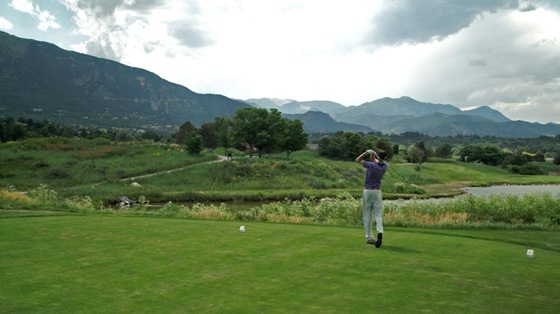 Nestled in the foothills of the majestic Rocky Mountains the beautifully manicured grounds set on over 217 acres, serve as the perfect backdrop to capture stunning photography. 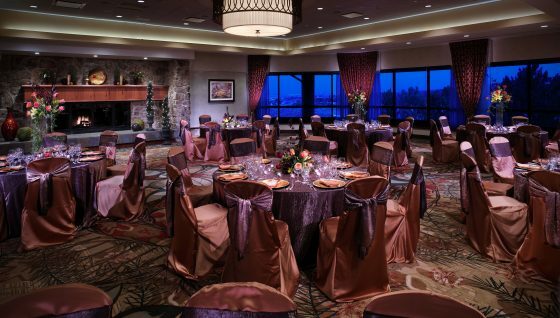 Choose an elegant ballroom, picturesque terrace, or relaxed beachside setting for your ceremony and reception, and then let your celebration planning begin. From linens and lighting, to favors and entertainment, your planner will handle every detail. 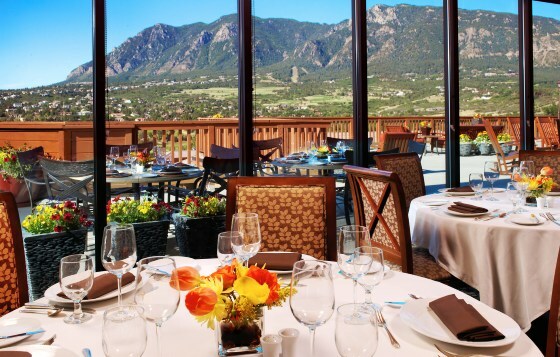 Our award-winning culinary team will balance quality and artistry to design and customize your ultimate wedding menu. Whatever you decide, our creative and knowledgeable wedding planners will use their passion to turn your ideas into reality. 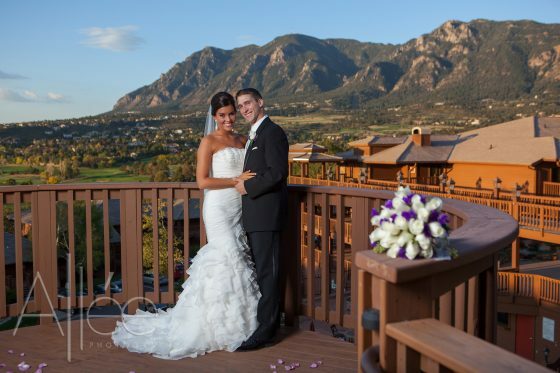 At Cheyenne Mountain Resort, you can expect your wedding to be the most picture perfect day of your life. Breathtaking views. Exceptional planning. Unique Cuisine. Authentic Colorado weddings. 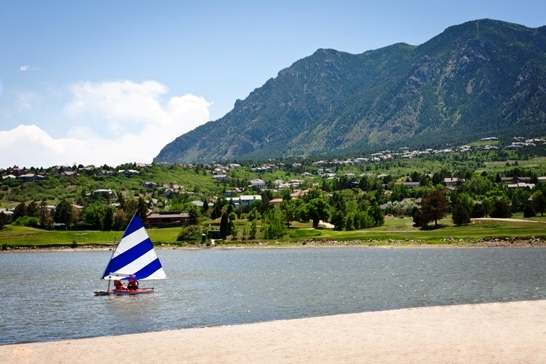 To start planning your dream wedding, call 719-538-4007.